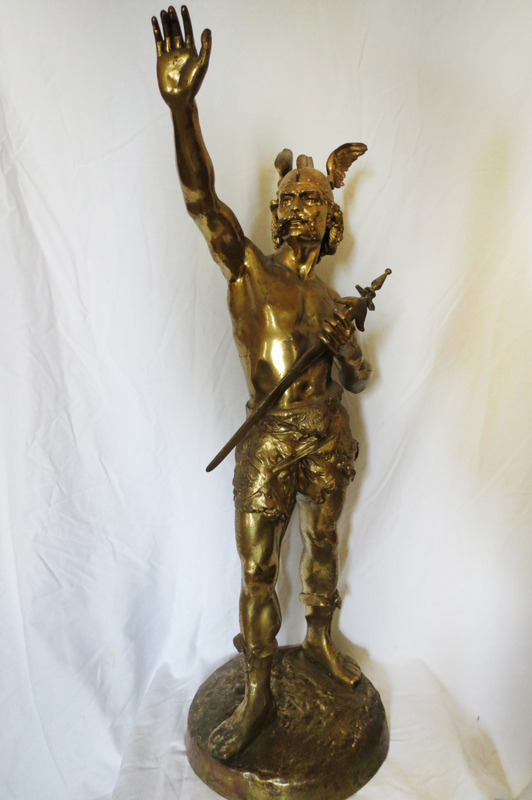 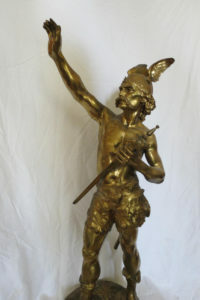 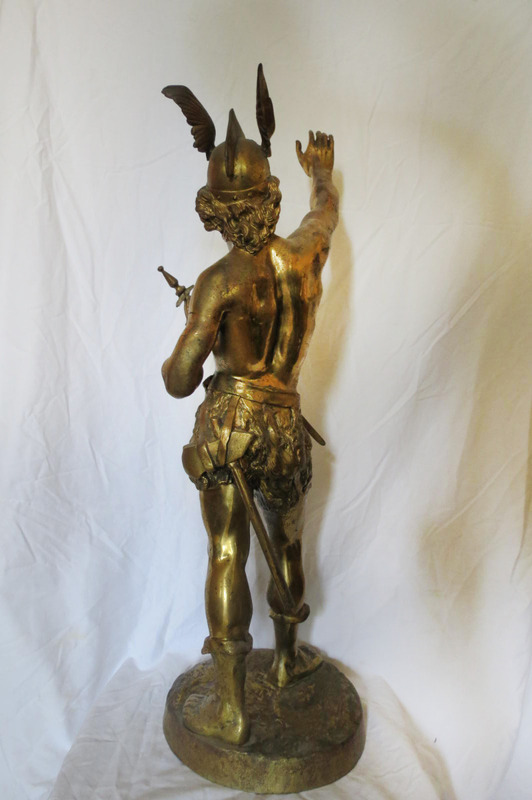 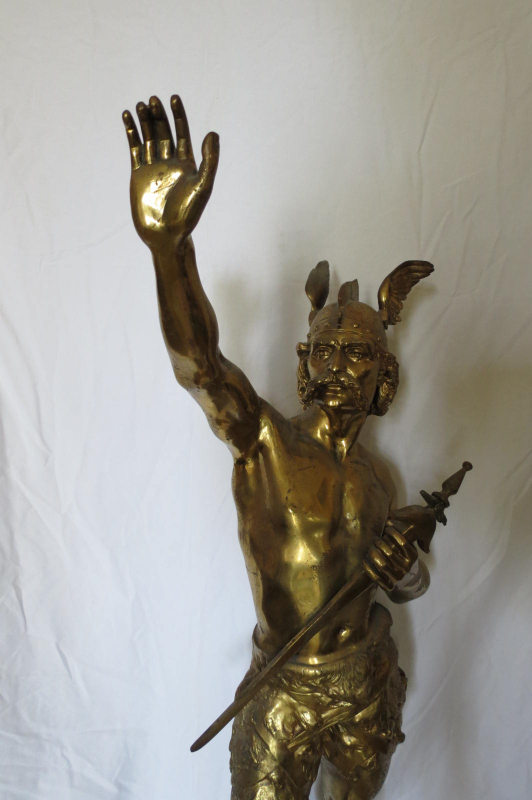 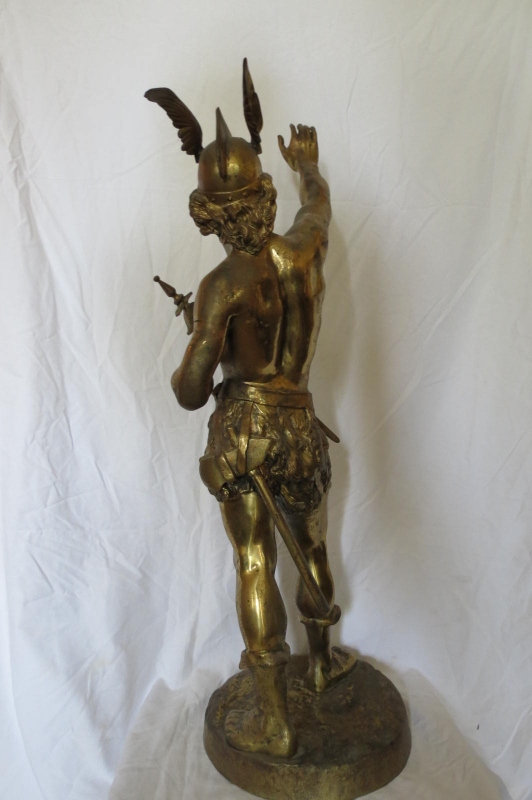 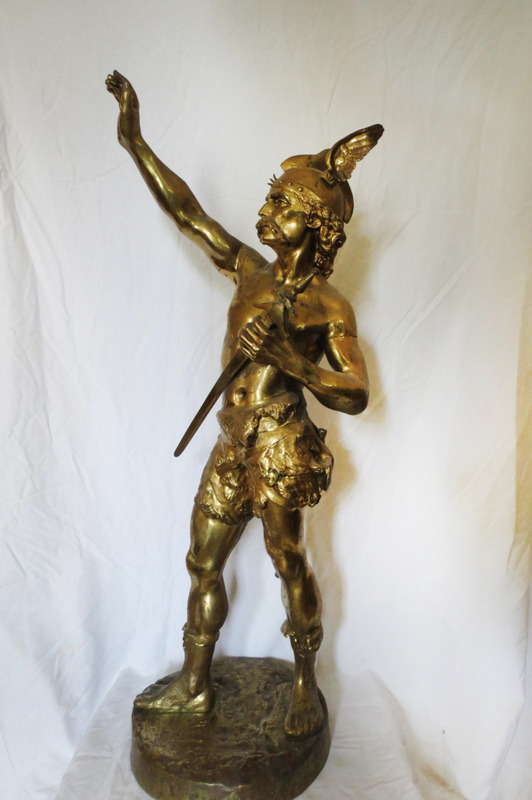 IMPRESSIVE Tall gilt bronze statute signed LaPorte. 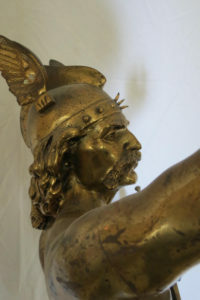 A very handsome warrior that I at first thought was Mercury or Hermes. 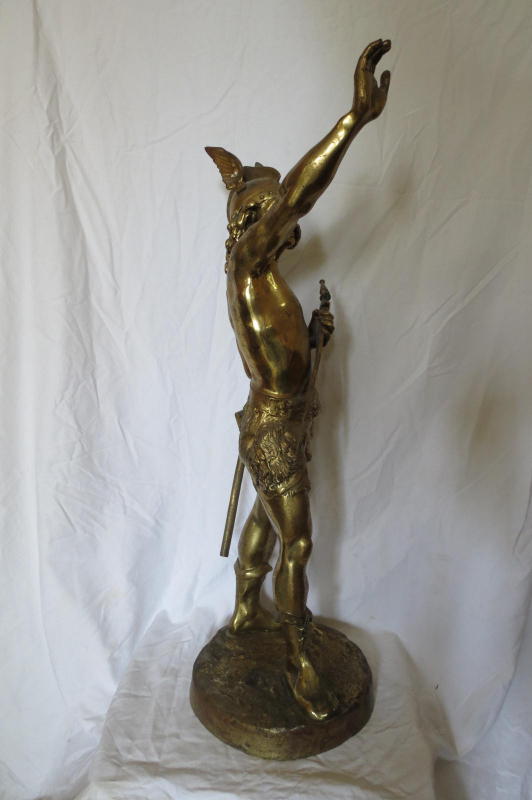 Measuring 30″ tall the details are very finely done. 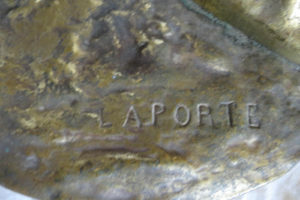 Signed on the base LaPorte. A beautiful statue that was purchased many years ago in Europe.